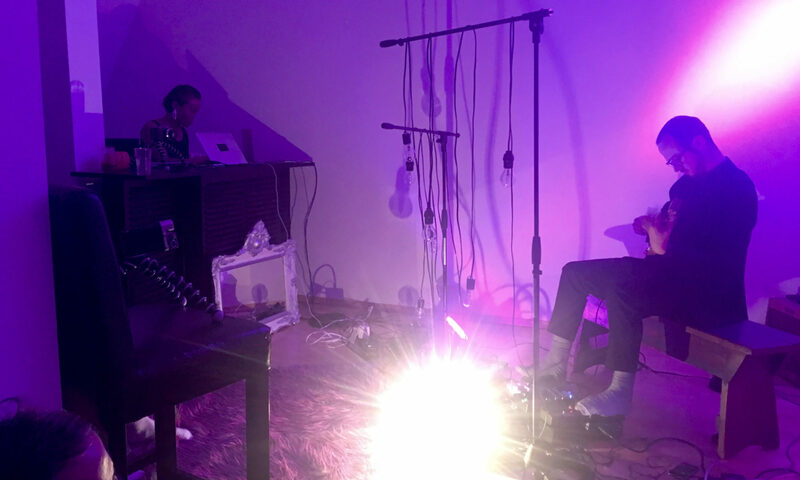 DETAILS/JUNCTIONS/ROOMS is a series of site-specific and spatially expanded concert-installations, started in 2012 by Heidrun Schramm and Nicolas Wiese, who have been working together since 2004. The two performers unfold a multi-source sound dramaturgy that is asymmetrical yet has a central stage position, as one of several sections. The new edition for 2019 will be first explored at the Willows Nest. Equipment / objects that have been used in past editions: Piezo speakers (attached to windows and glass objects), cassette players of various size and age, digital hand recorders, various active speakers of different sizes and frequency ranges, laptops, cd players, mixers, multi effect processor(s) and PA / quadrophony sound system(s). Born in Tokyo 1971, Seiji Morimoto studied musicology at the Kunitachi College of Music, graduating in 1996. During this period he began to play the electronic pieces by John Cage and his own sound performances. Since then he has been creating sound performances, installations and videos. In 2003 Morimoto moved to Berlin, has performed and exhibited in many international festivals including transmediale in Berlin, Experimental Music Festival in Munich. He is interested in the uncertain acoustic appearances between usual objects, for example water and stones, and the technical medium. He has collaborated with Takehisa Kosugi, Keitetsu Murai, Olivier Di Placido, Francesco Cavaliere, Olaf Hochherz, Rius van Alebeek, Ignaz Schick, Luciano Maggiore, Crys Cole, Felicity Mangan, Alessandra Eramo, Nicolas Wiese, Kakawaka, Seijiro Murayama, Jamie Drouin, Hannes Lingens, Johnny Chang, Katsura Yamauchi, Makoto Oshiro, Yan Jun and many others. He is curator of the concert series Experimentik at Tik Nord in Berlin, Friedrichshain.